Rooted in our mission to empower individuals and families, Bridges aims to serve a vast population through our programming and community education. 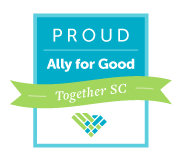 Through our grief support programming, Bridges’ staff, facilitators, and volunteers serve Lowcountry children and youth in our schools and community. Under the umbrella of our Stepping Stones program, the Shannon’s Hope Camp, Sand Dollar Club, Community Candlelight Ceremony, and Family Day Camp work together to provide a comprehensive grief support program for children in the Lowcountry area. 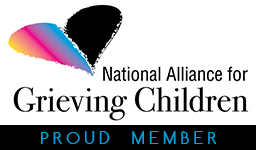 For more information on our children’s grief support programs, please click here. Our community programs, such as the Community Candlelight Memorial Ceremony and our Stepping Stones Family Day Camp, work to support grieving families by providing a safe space to grieve their loved one. Additionally, our What Matters Most Festival strives to unite generations of families to encourage them to begin to think about what matters most in their lives and how to live life fully as a family. Bridges also focuses on supporting those who work in the field of end-of-life care. From September through May we host a Professional Education Workshop Series. Additionally, monthly our Executive Director facilitates a retreat for caregivers. If your organization or workplace needs specific information related to end-of-life or grief care, we also can schedule a Lunch-n-Learn to talk about a specific topic.